A full day sight seeing in Delhi.Starting with Old Delhi with a visit to Red Fort,the Jama Masjid and the bazaars of Chandni Chowk.In the afternoon visiting New Delhi,seeing the India gate ,Parliament house,the Secretariat building and the President’s house. 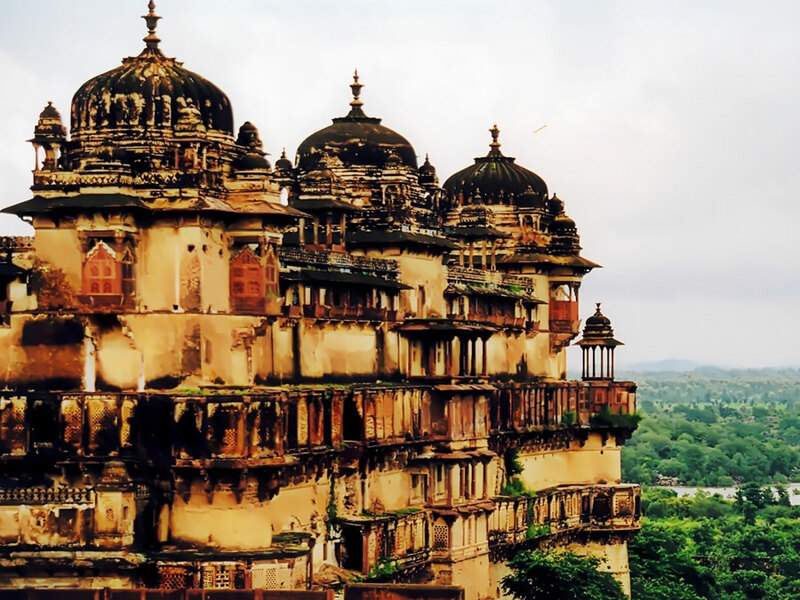 Situated on the banks of the Betwa River , Orchha has changed little over the centuries. Originally a hunting area, it became the centre and capital of the Bundelas. Orchha is situated on one of the cleanest rivers in India , the Betwa and has more temples and palaces than any town of this size deserves. Overnight stay at Orchha hotel. After breakfast drive to Khajuraho, we head through the rural areas of Madhya Pradesh. (approximately 4 hours), to the remote town of Khajuraho. Home to the beautifully preserved ancient and famous temples which are infamous for their explicit carvings depicting the full range of the Kama Sutra. Overnight stay at Khajuraho hotel. There is free time to explore the surrounding countryside either by foot or by cycle before we head out into Madhya Pradesh's Tiger Country to the Panna National Park in an attempt to catch our first glimpse of the majestic, if very elusive, Indian tiger (approx one and a half hours from Khajuraho). We spend the tonight right beside the banks of the beautiful fast flowing Ken River in a natural lodge. Overnight stay at Panna resort. As we continue on the Tiger Trail, we get deeper into Madhya Pradesh's Jungle travelling seven hours through fascinating countryside to Bandhavgarh National Park . 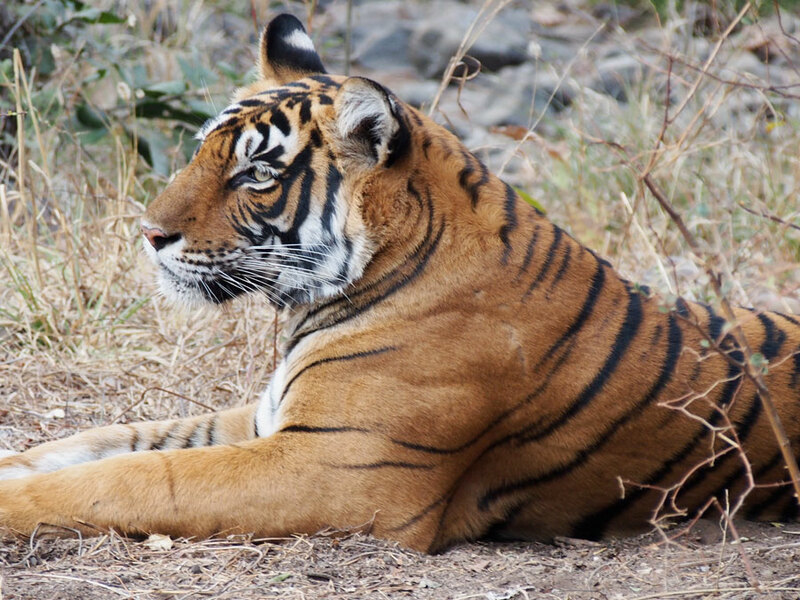 Bandhavgarh is truly one of India's magnificent wildernesses with a relative abundance of tigers compared to other National Parks increasing our chances of spotting that elusive tiger - there are so many other interesting animals and birds to see- so you will not be disappointed. Overnight stay at Bandhavgarh resort. 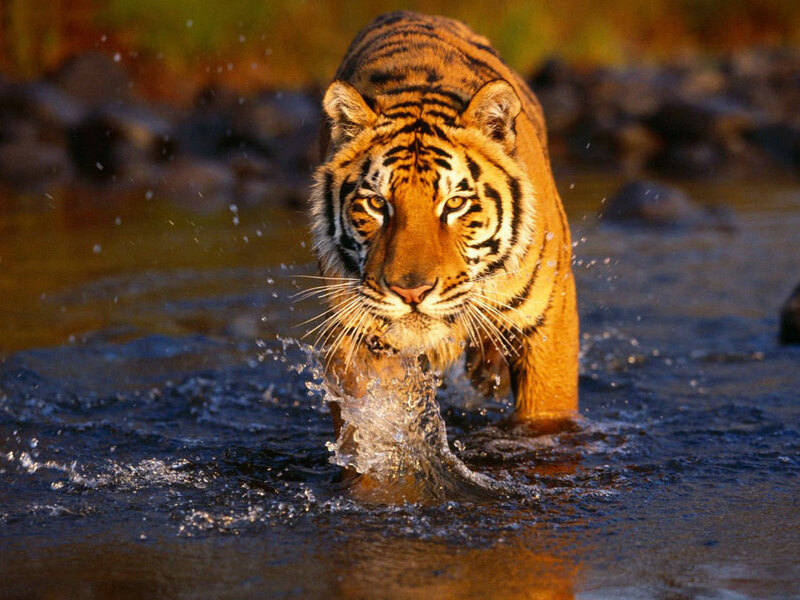 Wild life morning and evening game safari. Overnight stay at Bandhavgarh hotel. After breakfast drive to Kanha National Park (approx 7 hours). Romanticised in the much loved English classic by Rudyard Kipling - "The Jungle Book." Kipling based his tale on the wildlife of Kanha home to those famous childhood characters - Sher Khan the Tiger, Bhaloo the Bear, Baghera the Panther and the formidable Rock Python. Overnight stay at Kanha resort. 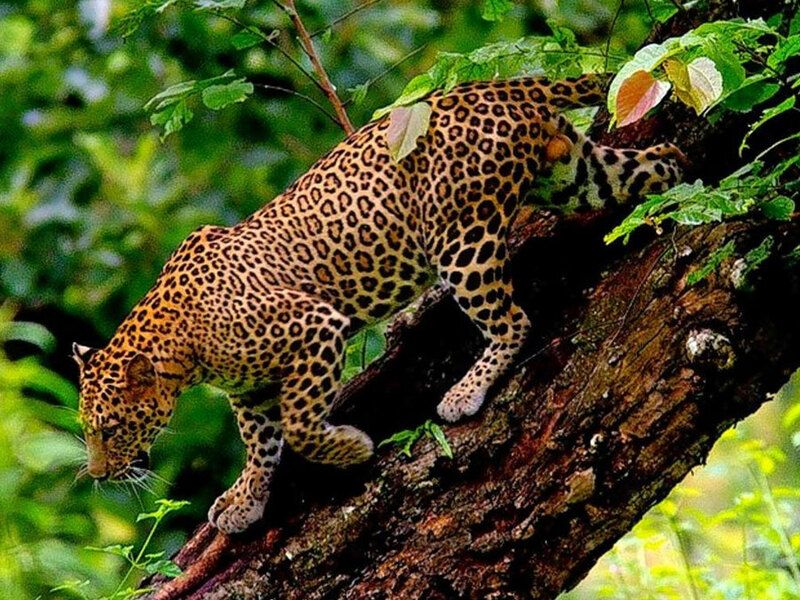 Kanha National Park is among the most spectacular, protected wildlife reserves of the world and arguably one of the best places in the world to spot the endangered tiger in the wild. You will also find several other mammals, reptiles and birds. Of special interest is the largest ox in the world - the Gaur and the Central Indian race of the Swamp Deer. Overnight stay at Kanha resort. On Day 10 we will depart after a leisurely breakfast for Jabalpur where we will meet our overnight train to Agra . After breakfast drive to Jaipur. Your drive to Japur takes you via Emperor Akbar’s deserted city of Fatehpur Sikri,an almost perfectly preserved 4oo year old Mughal capital. After admiring its palaces and pavilions proceed for Jaipur. Overnight stay at Jaipur hotel. 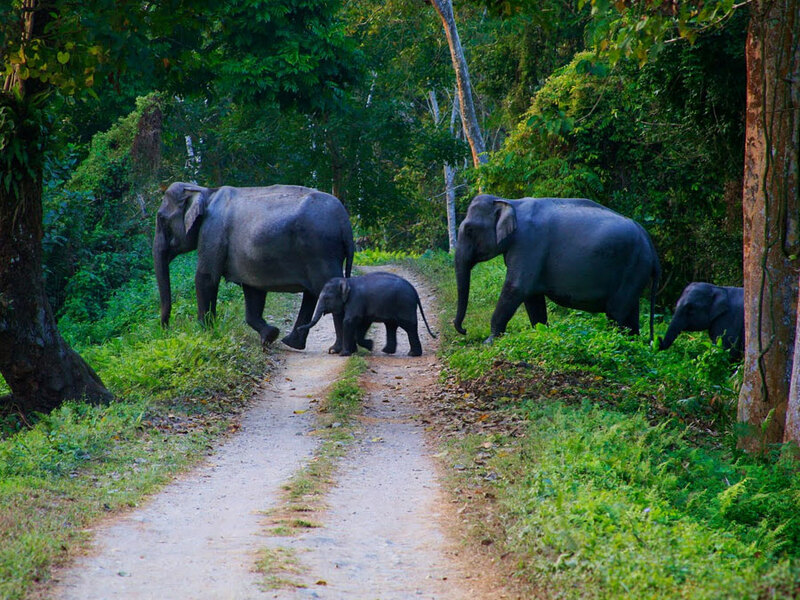 A full day's program takes you to nearby Amber, then up to the awesome fortress by elephant. You return to Jaipur and visit the museums, palaces and halls within the City Palace (still a royal residence), the Palace of the Winds, and the Jantar Mantar Observatory. Overnight stay at Jaipur hotel. Drive back to New Delhi, enroute stop at Neemarana Palace for lunch before continuing directly to New Delhi's international airport for your late night flight home or to your onward destination.